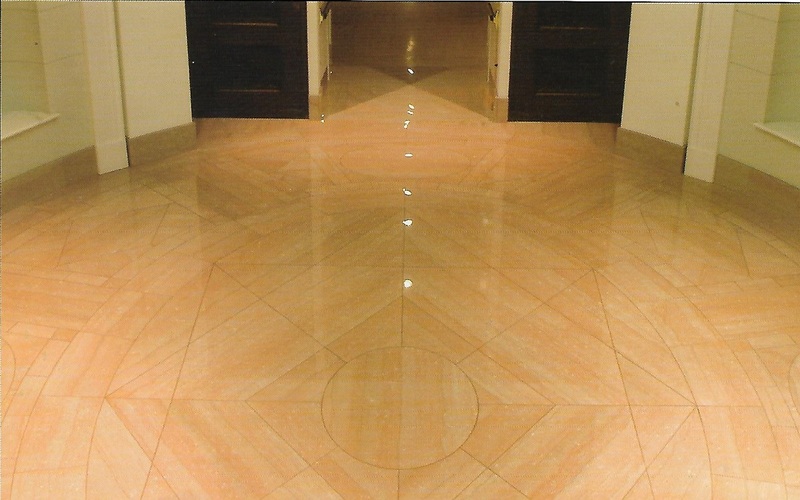 The centerpiece of the design, is a 34′ x 26′ in a 340 piece pattern of the Rose Marble. 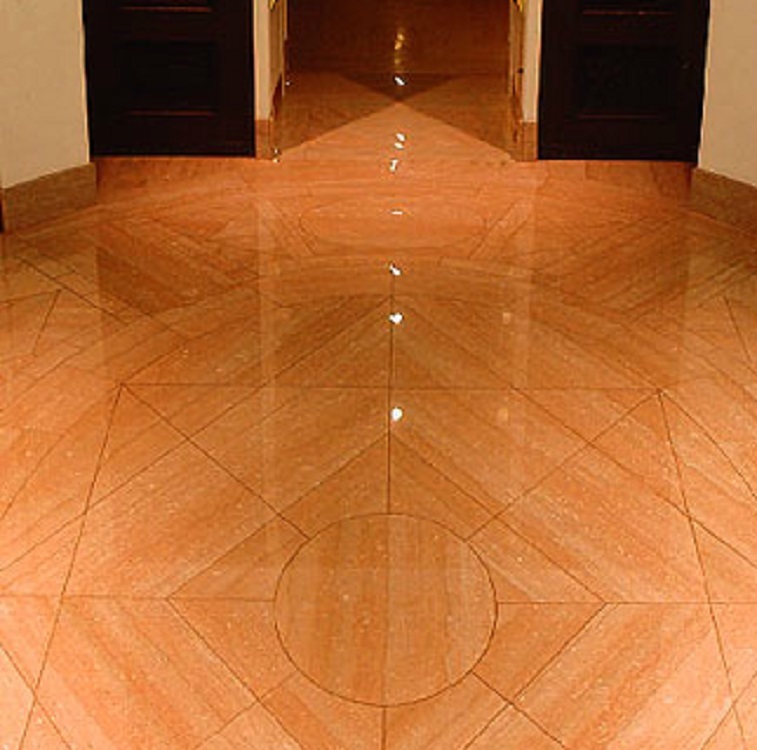 The pattern is composed of five ellipse accents, six diamond accents and four triangle accents and connecting wedges and triangles. 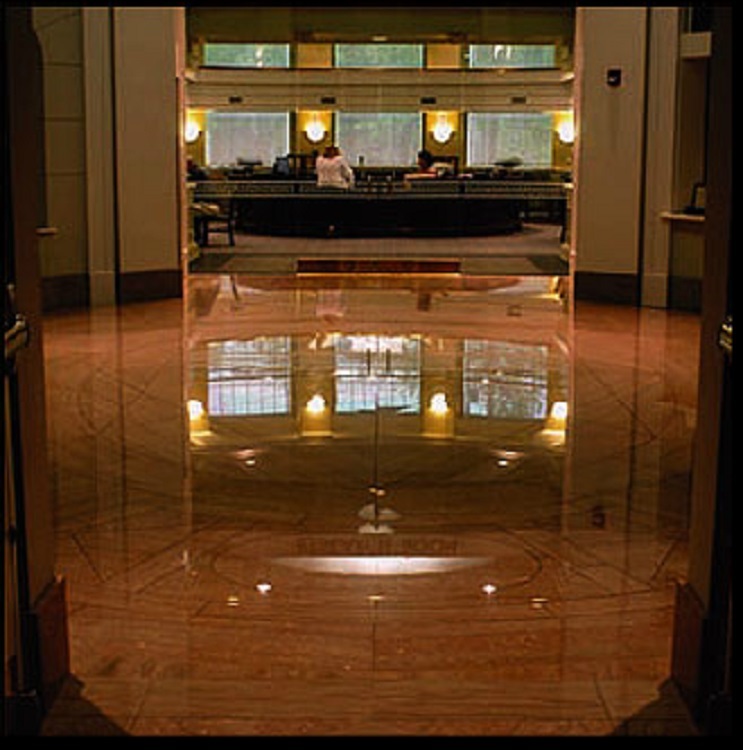 The main hallway from the lobby is composed of the same material. Architects: Seay Seay & Litchfield, P.C. General Contractor : Jesco, Inc.